Possible abandoned house wren nest? PLEASE HELP! I am not sure what to do, if anything. I have a small bird house in the lilac tree outside my bedroom window. I have been enjoying watching the mother bring insects to her fledglings (I can see at least two) and video taping them for the past two days. She literally feeds her babies from sun up until sundown. However, I have not seen her all morning long today. I am worried something may have happened to her; or could this be how wrens get their fledglings to leave the nest? The babies have been chirping nonstop all morning. It's now early afternoon and still no sign of parent birds. Should I be concerned? Is there anything I can/should do? Comments for Possible abandoned house wren nest? My cat just killed one of the nesting wrens on my porch. Is there any hope for the chicks? don't know if this is the mom or the dad. We waited and they fledged! I am so glad I came to this site, because we are used to having house finches, not house wrens, and this was totally different! Three days ago, I was freaked out because I stopped seeing mama wren coming and going into our tiny cute felt wren house. The babies were squawking up a racket. I was afraid she'd abandoned them. This went on one whole day. Then another entire day. I mean, NON-stop cheeping and crying from those babies. Here I read that this could be mama's way of urging them to fledge - she withholds food as a way of motivating them to get out of that nest! So, do not intervene. Just be patient. When they were still at it this morning, I was so scared they would squawk themselves to death. But then suddenly at around 10:00 am we didn't hear anything. Went out and - voila! - they had flown! The little nest is empty. I wish I could have seen those tiny guys make their first flight, but oh well. They DID it and we're delighted to have given them their first home. Hello, yesterday I was so concerned as the parents didn’t seem to be coming to feed the babies. I read up on this and decided against intervention as I knew for sure the nest had been started at least 38 days sooner. I watched and watched and the babies were peeping so loud. I hoped I made the right decision. This morning they were still loud. I had read that they usually fledge at 35-45 days and that the parents usually feed less to encourage them to leave the nest. I just got home from work and went right to the back yard. It was so quiet. I got a step stool and carefully peeked into the nest. No babies!! They all fledged today while I was at work. I checked the entire yard and it appears they were all successful in their first flight. So glad I didn’t intervene. The adults withhold food to encourage the young to leave the nest. Since this one is still alive, adults are probably making small feedings. It doesn't seem like anybody's listening. I have a wren family in a bird house outside my front door. Everything seemed normal until 3 days ago. All but one fledgling have left the nest. Parents continue to visit and sound alarms, but I don't see them bringing any food. Extremely hot today. Saw the chick, mouth open, at the entrance. I drizzled some water inside. Don't know what else I should or can do. A Carolina Wren has built a nest in our blue bird house. I gave not seen her there in at least s week! There are no eggs! Should I leave it alone, is it possible she’ll be back to lay eggs? I have been watching a house wren build a nest in our garage for the last few weeks the mom laid 5 eggs she sat in it the first couple of days then I noticed she was gone for 2 full days and nights she came back for a couple nights all night and gone all day and now it's been 4 days and she hasn't been on her eggs. I feel so sad because we have loved watching them but I'm worried she has abandoned her eggs. I did see her this morn but I guess I scares her so she didn't come in. What to do? A Carolina Wren made a nest and laid eggs in one of our potted plants on the front porch. The eggs hatched about a week ago. However, today I accidentally hit and killed a bird with my car in the driveway. The mother wren has not returned to her nest all day and I'm worried that she's the one that I hit. If she doesn't return, what should I do? Incubation doesn't begin until the last egg is laid. She may be gone all day until morning. Help!! A robin nested in a pine tree in my backyard and she hasn't been in the nest all day what do I do if she doesn't come back? Do I take care of the eggs or hatchlings? Or no? Carolina wrens. I haven't seen the mother in or near the nest on our porch for about 4 days. 5 eggs, nothing hatched. It's been about 3 weeks since I noticed the first egg. Any thoughts? See House Wren for information on wrens and nest sites. The male brings material to many sites. If someone could help me or give me some advice that would be great. I work at a construction company and there was a nest of 5 baby Wrens in one of the equipment that we did not know was there. We are in the process of moving to another location and the birds were moved with the equipment. 4 of them did not make it but 1 did. I have had it now for about 24 hours and I can not find any place that take baby birds around my area. I have been feeding wax worms and bird formula and its doing great. It mainly wants to be on my chest in my jacket all the time. It attempts to fly buy hopping and flapping up to my chest from the table or my hand. What should I do and do I need to worry about catching anything from this bird. I have seen a wren building several nests over last 2 weeks in creases of sun brollie right outside my kitchen window which has been lovely to watch the hype of activity although unable to put the brollie up on the odd occasion we've had some sun. It is now towards end of April and not noticed any activity or seen the wren for about 4 days could it have abandoned the nests without any eggs being laid ? Our backyard hanging birdhouse was really rocking with baby chirping…but the usual appearance of a parent in feeding mode was not happening. After one and half days of seeing two little heads with open mouths in the entrance opening and then only one, I became very concerned…and then I saw one little body off to the side. At that point, I removed part of the roof to see what what going on and found 5 dead babies and one live baby which I cut up a earthworm and a black ant which was gobbled down. I turned the feeding job over to a neighbor girl and her mother but that was short lived too as the little orphan somehow flew out of the box we had turned into its new home. I have a house wren that has been hanging around the shed in my back yard calling and calling the same call mostly for 5 days now. It hops around the roof and into the leanto then flies nto the woods and back again. It's apparent that's it's upset and I feel so bad but I don't understand what's happening. I wish I could help. I have a wren nest on the deck in back of our home. They have babies in a decorative bird house on a stand. Something came up on the deck last night and knocked the bird house over and the parents are dead at the bottom of the steps, half eaten. Other wrens are bringing food to the babies this morning. Is this what they do? I put the birdhouse back upright and can hear the babies in it. I think the babies are about 1 or 2 weeks old. What should I do? I watched excitedly while a wren built a nest in a planter next to my door. He came and went for a long time. Then she moved in - I saw her in the nest. There is one egg in the nest, but I have not seen the wren come back for 3 or 4 days, it seems. Would she have laid 1 egg and then just left it? Both adults feed the young and can be quick in coming and going. Keep watching. If you're in panic mode, contact a local wildlife rehabber for help. I'm going through the same thing right now!!! Babies are 4-5 days old and havent seen Mom since 4:30 yesterday afternoon! We're devastated, and don't know what to do!!! Babies are calm, and not looking for food, but we're going crazy! We had a very violent storm in DeBary, Fl. yesterday! HELP!! WHAT DO WE DO?? I have 6 wren babies in my geranium. They are 3 days old and it's 1am. No momma in the nest. Do the parents sleep in a different location once the young have hatched? What should I do for these possibably abandoned young? I have a house wren that decided to nest inside my truck (underparts). The babies have hatched already and I'm gonna guess they are a week old. Can't see them but hear them. I can't drive the truck and I really need it for picking up 30 bales of hay this Saturday. Parents are wary of me crawling around under my truck looking for signs but so many places to hide. Any ideas? Help. So I've been watching a momma and daddy tend to their young for a couple days now. This morning nothing but they were sitting on my dense and the momma was raising cane! When I checked on the babies they seemed weak and didn't make a sound. I've read enough to know that they usually don't abandon their young but I'm concerned that inside that tin they will get hit and suffocate. And why weren't they feeding them this morning? I'm really concerned. Unless you're watching 24/7 don't do anything. 3 days old they all look weak. If they are alive, they're most likely being cared for. A Wren has nested in a fern on my front porch. She hatched 5 young ones. I noted the male has been gone for a few days. The female has been gone 24 hours. The young ones are about 3 days old. I checked on them this morning. They seem weak. Only one responded with mouth wide open. Do I try to start feeding them? Give it plenty of time. If the entrance is properly size to 1 1/8 inches, most predators can't get to the young. Moving young into another nest may cause all to be abandon by the adults. Move chicks to other nest? I have two boxes with wrens (front and backyard). The ones in the front make a lot of noise when I walk by, waiting for food. I found a dead chick yesterday about 5 ft away from the box on the walkway. I assumed it was a bird from another nest up in the tree, just a tad too far from the box to simply have fallen out. It was too small (half a thumb) to be a fledgling and only had beginning feathers on the wings. But this morning I noticed there was no chirping and I don't see the parents around. I just checked the box and there are 2 or 3 chicks. They do look like they have more feathers, so maybe the dead one is still from a different nest. Or did something happen? If I don't see the parents in the next 24 hours, should I consider moving the chicks to the other nest box? Wrens will fill several cavities with nesting material but only use one nest. The female picks the nest site. You'll have to wait and see how the eggs do. They usually lay more than 3 eggs. I would just wait and see. Oh no! I have two bird houses fairly close together. there is a wren mother and father (I suppose) building a nest in one while I haven't seen any in the other for a while. Several days. So I thought perhaps they had moved to the other house. When I went to clean out the abandoned house today, I was holding it over some mulch and dirt so luckily a soft landing, however three small eggs came out of the nest. I put them back in quickly closed at the and hung it back up on the post. Is there any chance that I killed the babies? Or is it possible that babies are in one house and parents in the other? is there anything I should do? Incubation begins either when the last egg is laid or the second to last egg. I have been watching from the beginning, I watched as they built their nest in about 1 day in my garage so I got curious and looked inside nest and noticed the 3 eggs. I have not seen her come back all day to sit, did I scare her? They were fine with me sittting in here while they were building. 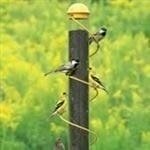 Most likely it's House Sparrows. House Sparrows are a introduced species that and have become an invasive species. Killing native cavity nesters to eliminate competition. It is legal to trap House Sparrows and if in a rural location where shooting is allowed, they can be shot. It sounds mean, but natives have no defenses against non-native species. I had a family of Carolina Wrens raising a brood in one of my bluebird houses. They were both feeding them constantly as late as yesterday. Today about 24 hours later I checked the box and the chicks were all dead and starting to smell. I thought there were only 2 but when I cleaned out the box I found a third one underneath the other two. I was heartbroken for the little things. Does anyone know what would cause this? Should I disinfect the box. Thank you. I live in Tampa Fl. I found a dead wren inside the house that had housed baby wrens. The baby birds had already matured and flown away. The dead bird was an adult. I noticed twigs and grass sticking out of the hole and when I investigated and cleared the opening I found the dead wren. It was early Fall and the time that I usually clean out the wren house. I buried the bird and after reading about sparrows on this site I am wondering if sparrows would have done this. This was the third year that a wren had nested in this house. Snakes leave no sign. Please don't think you have no snakes. You have wrens, you have snakes around. 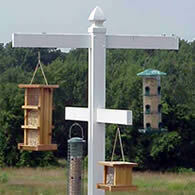 Usually, House Sparrows pierce the eggs or drop them out where others will eat such as opossums, raccoons, or snakes. It is my thought that the mother wren stops feeding when it is time for the babies to leave. We have had this happen in the past, and again this week. Last year the mother stayed nearby and coaxed the babies out into the wigella shrub. Do you have a tree that has a lot of cover near the outside of the garage? She will probably hear the babies crying for food. I would try to leave the nest where it is until you have to leave. Some babies only stay in the nest around 15 days, so this way it will give them more of a chance to get bigger before you try to move it. Also, in case you do move it and the mother doesn't come near it, you can always call a wildlife rehabilitator or vets. It does take awhile for parent birds to feel it is o.k. to go back to the nest. Sometimes you don't think they have been near it all day, but they sneak in and out without anyone even noticing. Is there a way that your neighbor can open and close the garage door for you while you are away? I know that sounds crazy, but any ideas are helpful. I love wrens also. Another idea, is does she sit on the nest all night? You could try to trap her and the nest. That way they would stay together. I actually found 3 little cedar waxwings that the parents had abandoned, and I gave them to a EMS - person in Rochester, NY. She took them for 3 weeks and then released them back in my yard. It was great to see. Keep us posted. can I move a wren's nest with 4 hatchlings? today, as I was cleaning the garage, a mother wren flew out of a basket. I peeked inside and saw 3 babies and 1 egg. the babies we probably a day old. we are leaving next week for 6 days and our garage door will be closed the entire time. Can I move the basket outside of my garage? will the parents find it? will they come back if I only touch the basket and not the nest. I love having wrens and don't want to lose these? It's a good idea to give the house a good cleaning between nestings. Just be sure they're gone and others have not moved in. 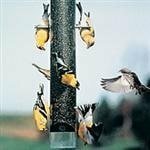 What to do with nest after season. Is it okay to empty the wren house after they left? Mama Carolina Wren has disappeared! Plz HELP! I have a Carolina Wren nest in the hole of my front door decorative wreath. It's been cute seeing the mama sitting inside there. Actually, we can only see her eyeballs and the top of her head. A few days ago I went to the nest to check in on her. She wasn't there. To be nice I went back into my house and brought back some seeds. I laid them on my porch where I saw her once before. The next day I checked in on her again. Nothing. I was kinda confused. Did she not lay any eggs and left? Today I took my cell and decided to video tape the inside of the nest. I didn't know if she had even laid any eggs but figured she had something since she was always sitting inside and bringing home food. So this is my finding. There is only one egg inside. I don't see any evidence of the presence of any other eggs. My question for everyone is this. What can I do? Take the egg and warm it up? How do I even do that? Or do I even try to save the baby inside? Will the mama come back? Did she know something about the egg that I don't know by just looking at it, like the baby inside had deceased? We have a wrens nest and only one of four has hatched. Mama is no where to be found. I am worried for the baby birds. Is there anything I can do? I am worried something has happened to her. Any suggestions? If you don't want any more broods raised then remove the nest. Wait a couple of days so that they are long gone. (the fledglings)The adults may nest close by because it's now their territory. Carolina Wren made a nest and has raised her babies on my balcony. Came out this morning and everybody's gone...so proud by the way 😀 My question is, can i destroy the nest now? Or do they come back to the "maternity ward"? All of you bird lovers should NOT have outdoor cats. And to just keep them inside while nesting is going on to only let them back out afterwards makes no sense as they will still kill birds. They are indiscriminate killers and to create a bird habitat, and entice birds to nest, etc. to just have your cat kill them is incredibly irresponsible and ignorant. Domestic cats are not part of the natural landscape and should remain indoors. A well fed cat is the best "hunter"! Momma wren not here for second day! I'm having the same issue - momma bird no longer around for the second day!! Babies are chirping like crazy and actually falling out of the nest (which happens to be a baggie holder in my garage!!). I put them back in, they aren't flying yet but do flap their wings. I don't know what to do, what to feed them, or what. We have cats and I am crazy they are going to catch one as they fall out. Anyone have any ideas??? I have a Carolina Wren nest on my deck. I also have cats. My "outside Cat" is now staying in the majority of the time. I give her a brief time out at night after all the birds are nesting. The Mother Wren is sitting on her eggs. I was seeing the Dad but have not seen him for a few days. I hope my cat did not harm him before I knew what was going on here. The Mom (not sure why this is being underlined)..is not leaving the nest at all right now that I have seen. Is this typical ?. How is she eatling..etc.. My Cat will be in all the time as activity at the nest (Mom feeding, young leaving) increases. I sure hope this all works out. I Love birds. Often the wrens will reduce feedings in order to motivate the young to leave the nest. It's rare for them to abandon their young. Predators such as cats and hawks and others, do get the wrens from time to time. You'll have to wait and see what develops. We have a tall wrought iron flower planter just outside the French doors of the den downstairs A pair of wrens built a nest in it. There are four babies in the best. The birds have had no problems flying in and out of the nest even when I'm outside. It was just yesterday that I seen the babies parents at the nest. The little ones have been crying ever time I go out the door. I'm so worried they have been abandoned. It will break my heart to see them die. For someone who may know. Is this something that happens? I've read the mother wren sometimes will leave the nest for awhile. Will both parents leave and the other stay to feed them? I'm so serious about them. Many baby birds learn how to fly in the nest, and many learn on the ground. Robins don't know how to fly for quite some time. I bet the babies were getting ready to go anyway. They flap their wings still in the nest to get the mothers attention, when she is feeding each one of them. So they are learning how to do that since the moment they hatch. I bet at some point in time when you least expect it, you will see one or two of the babies in the tree tops. I actually saw a baby cedar waxwing climb the side of a plum tree. The tree was a little slanted, and I couldn't believe what I had seen. 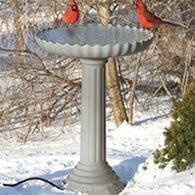 Parent birds, are hard to see when they go to feed their young, because they are protecting them, but I'm sure the parents are around. Every day a bird wings get stronger, it is amazing to watch. My favorite birds right now are the cedar waxwings & chickadees. Thanks you too. I wish they wod come back to the nest! But I guess they are some where 😔 I do feel bad that I believe I scared them out before momma and daddy taught them. Glad to hear that the babies sound like they are a lot older than anticipated. They do like mealworms & so do robins & cat birds. Sounds like they are dong fine if they are already moving around quite a bit, especially flying. Birds learn very quickly. I saw a downy woodpecker on my hummingbird feeder last night. I didn't realize that they liked sugar water also. Have a great weekend. If you wear a pair of gloves, and hold them tightly, but not too tightly try to put them back in to the pot/nest. It is a wives tail that you can't touch them. I have actually put baby birds back in to a nest. (if they fly back out, they probably are gettting old enough to be moving around anyway) Grab a large bucket if you can and put them all back in it, so that they don't try to jump out while you are moving them back in. Momma & Daddy will then go back to the nest and take care of them. Do you think they are big enough to be ready to start learning to fly already out of the nest? Birds are very quick learners. Wren parents will make loud noises if you get too close, but don't worry they are just protecting their babies. If parents abandon the babies, you can always find a wild life rehabilitator, may be through EMS, or Vets (only if necessary). Good luck. I have a planter outside my front door which had 4 baby wren eggs one must've died because the egg disappeared the eggs hatched and Mama has been feeding them growing fast with feathers. They have all their feathers now and are chubby little wrens. I've noticed a lot of poop on my front patio so I was cleaning off the poop and I peaked into the planter and the three baby birds flew out and then mama and daddy bird were going crazy, they popped out of nowhere trying to wrangle up the babies now I'm afraid they left the nest too early because of me. I went out to the yard and I saw the three babies kind of flying around but kind of bumping into the sides of the houses and the mom and the daddy bird were sweeping back-and-forth trying to gather them. I feel so bad that I scared them out of their nest and feel that I might've killed them all. Do they come back to he nest? Sparrows go after wrens, so unfortunately may be the mother had gotten killed by a sparrow or any other type of bird or cat, and didn't get back to the babies in time, or even cold weather can hinder the babies. I feel bad also when I know a baby didn't make it, but I have to always remember that is nature. It was nice that you were looking out for them. Take care. About 3 weeks ago I went to pick up an old box on my back porch & a wren flew out of it. I looked inside & saw that she had a nest with 4 eggs in it. I so enjoyed watching her daily & waiting for them to hatch. They hatched about 6 days ago & she seemed to be a very good mother, they were thriving, beginning to get feathers but eyes still closed. I didn't see her yesterday at all. The babies late in the day were crying like crazy but I figured she was out getting food. Well...I woke up this morning & all of the babies were dead! The mother was no where to be found & I believe a while later the father came around. He got in the nest several times checking the babies, chirping like crazy, hung out for about 10 mins. then flew off when he realized they were dead. I think something must have happened to the mother, because she was feeding them, then just disappeared. I also believe the father was probably looking for her too. I'm sure if the parents are still feeding the babies, they are fine. If something was wrong with any of the babies sometimes they kick the baby out of the nest, so just keep watch. She is also probably reconstructing the nest because of the storm. If per chance you feel that the nest has been abandoned you can check to see if there is a wildlife rehabilitator in your area that can help with the babies. There are also a lot of You-tube videos on how to do that also, but it sounds like you wont have to worry about that it sound like they are fine. If a baby falls out, you can put it back up in the box, just wear gloves. Thanks. We had a big storm and a branch fell down with a wren house on it. I went out and hung it back up. It was full of babies which were close to fledging. Should I try to look inside the nest to see if they are ok or leave it alone? Both the female and male are adding more sticks and bringing food in the house. After I saw this my thought was to leave it alone. I forgot to mention to just watch out for sparrows, I had previously had my wren house in the back of my yard, and the sparrows didn't like them being near their bird houses, so I had to move it to the front of the yard. The sparrow would actually not allow the wren to go in to the entrance hole. Every time the wren would get near the house, the sparrow would sit near the house, and not let him in. I finally moved it to the front, and it was fine. The sparrows finally gave up. I would actually stand under the tree, when I heard the sparrow and the poor wren making his alarming noise to get the sparrow away. I actually cleaned out my wren house, just the other day. Once they fledged, I left it there for about another 4-5 weeks, and no one returned. I opened it up, very carefully, just in case there were any new eggs, babies etc. Then I put it back up in its same location. I hope to get some new activity soon. Where are my wrens? Take 2! Thank you for your kind time. I have a feeling they all left the nest....the day before the spraying, the parents would let me know I was a little too close by their very loud chirping. Today, to be sure, I got very close to the bird house and didn't see anything, although the twigs go very low into the cavity of the house. No little dead babies on the ground either. I went back to my reading and lo and behold, one of the parents returned and sat right in front of me on a shepherd's hook. She did not make an effort to return to the house, but kept scattering about the ground without any sounds. Just nibbling on a few scattered seeds in my yard. The babies of the song sparrows, finches and robbins are also gone along with the blue jays and cardinals. The doves are sticking around as usual. They usually stay all winter. The landscaper did not spray any of my arborvitaes and will return this week to take care of the spider mites. I think there isn't too much to worry about now with babies or parents...My feeling is that they have all flown off to their new chapters and I will greatly miss them. It has been a wonderful lesson in nature and parenthood! Humans have so much to learn! Should I clean out the bird house in the fall, or just leave it for the wrens to care for? I so hope they return next year...it's the best entertainment and totally free! Thanks again for your kind thoughts! This is how the mother wren tries to get them to fledge. She is probably in the area, and you just haven't seen her. She is probably out looking for food. If you stand near the nest, and make a chirp noise, if she is in the area, she will fly over to you and make an alarming noise, to scare you away. The larger the babies the louder they chirp. Keep watching though. My wren used to be very active near the nest around 7:30/8:00 in the morning, and around 5:30 - 7:00 at night. You probably should have waited a few more weeks before spraying the tree until the fledgings have moved on, but I understand the time restrictions that you had. You can actually look into the bird house or nest with a flash light to see if you see any other little birds. May be they were big enough to fledge already, and that is why the other bird was pushed out of the nest. If you stand under the nest, and make a chirping noise, the parent might actually be sitting on the nest still and that is why you haven't seen her. If she hears the noise, or sees you near the nest, she will definately make a loud chirping noise, to alarm you to stay away. Also, she might have been frightened by the landscaper. Also, they might have other babies out in the trees, that she is feeding, then trying to find food for her birds in the nesting box. It's amazing how you think that they aren't around, but then all of a sudden, there they are. If you find babies, being unattended you can call a wildlife rehabilitator to stop over and help out. Wrens are a lot of fun to watch. I had someone help me out with 3 babies (cedar waxwings), that fell out of my neighbors yard too soon, because they had a landscaper trimming the branch around them, and she took care of them for 4 weeks then released them back in to my yard. Wrens love to eat mealworms - and they grab little sacks of spiders eggs, to put around their nest, the spiders hatch and they somehow keep the nest clean. So, that could be why you are having troubles with spider mites. Not sure though. I've had the most beautiful summer watching a pair of wrens build their nest and raise their family finally settling in a birdhouse that was empty for 3 years! About two weeks ago, both parents pushed a dead baby out of the house which took them all afternoon and it hung precariously from the opening. He was a huge baby for a wren. I buried it...I have put off having my trees sprayed all summer because of the wrens and other birds that are nesting. However, yesterday was the final day my landscaper to spray as my trees are loaded with spider mites and need care. I warned the tech about the nests and he was careful to not disturb any nests. Not sure if it's a coincidence, but there is absolute silence from the birdhouse and I have not seen the parents all day. I'm hoping they were not frightened away. The spray should not have hurt them per my landscaper and there are no dead wrens found. All the other birds are obvious and taking care of their little ones. Any thoughts to set my mind at ease would be so appreciated. I'm so upset that they left their yard! The young do not return to the house after fledging. My baby wrens left their house for first flight today amazing! Both parents chasing off other birds! Quite a sight! Now will they return to their neat tonight after their first day out? Or do they stay out now? I can hear the parents. They're kind of tree hopping. So will they all return to the nest later today or tonight? Just got back from vacation, just read your e-mail. 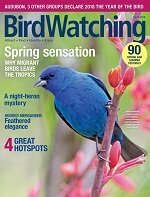 Have you seen the parent birds within the last few days? If the babies are still alive, see if you have a wildlife bird rehabilitator in your area. Check veterinarians, ems - ambulance (sometimes they know of someone that can help out). I have a nest in my garage and the 4 babies have opened their eyes, but I have not seen the parents at the nest for about 2 days. Is there something I can feed them? - I know they are still alive, but seem very weak. Do you have many sparrows in the yard? Sparrows are very territorial. I had a new wren house that I had put up and actually had to move it to the front yard because the sparrows wouldn't allow the wren to go in to the house. Luckily it didn't have any eggs in it, I removed the sticks & they re-nested in the front yard. Eventually the one sparrow finally left them alone. I actually stood under the nest when I heard the alarming noise from the mother wren, and realized the sparrow was on top of the house. They have since had babies, now they are on a second brood. Try not to have a lot of feed out for the sparrows, so that eventually they might leave your area to search for other areas to nest. Sparrows I have read, also might try to kill the female, so may be the wren decided to take her babies to a safer location. The wrens as you know can been seen, in the early mornings singing, and also between 5 -8 at night. They are probably still in the trees, because I have seen some of the new babies in the trees, but they can be so quiet that you don't even know any bird is around. She is probably just out and about teaching them to search for food & and teaching them how to fly. She might even be searching for another nesting site. I wouldn't be surprised to see her go back to the site where she had her other brood because she was so successful the first time. Have fun. I have a birdhouse in my backyard and two house wrens started a family. I have been watching everyday from start to finish how they began this venture. The eggs finally hatched and I've been enjoying watching the parents feed babies all day long, listening to singing and chirping constantly. It was beautiful. This has been going on for about a little over a week. This morning I went out to watch and listen and there was no activity or sounds. So upset! What could have happened? Pls someone who's knowledgeable let me know. I read something on the internet that they lay an egg every day, but don't sit on the nest till all the eggs (usually around 6) are ready to be sat on. Keep an eye out for sparrows and keep them away from the wrens. I'm sure the wrens will be back. I noticed at the beginning, mine was usually near her nest in the early mornings, and around 5:30-6:30 ea night, once all the eggs have been laid. She might even have some other babies up in the trees needing to be fed. They are a lot of fun to watch, and their song is absolutely beautiful. Buy a wren house at some point (after the other nest & eggs have fledged, keep away from other bird houses, and I guarantee you will get a wren. I put one up in my yard and within a day they found it. Have fun. Last friday I was startled going out my front door by 2 Wrens. I looked to the corner by my front door where they were building in a flower pot that is up on an iron plant stand. I left them be, but checked later and had the glorious opportunity to watch them work. I stayed at the end of the front walk, they came right by me to get sticks, supplies and grass. They did not seem bothered that I was watching them. What a gorgeous nest they built. I was away for the weekend, came back yesterday to their perfect nest and one egg. No parents to be found. We had the cleaning ladies, and the pest control and UPS at the door yesterday, would that scare them away from their egg? Im so sad if they left. Tampa Florida. 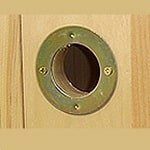 Rather than go through all the trouble of using something that will deteriorate over time to reduce the entrance hole, you might want to use these. 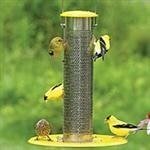 They're pretty cheap and the sparrows can't pull them apart. Good idea about using a bumper sticker to change the size of the entrance of the birdhouse. We had a problem with the wrens being attacked by sparrows. We realized that the sparrows are very territorial. We took down our wren house - luckily it only had sticks in it, no eggs. Moved it to the front yard. Our sparrows nest in houses in the back. I removed the sticks out of the wren house and hung it in the front yard in a tree. Within a day they found it again and started building a nest again. Every now and then the sparrow sits near the wren house, and I go outside and stand under the tree, when I hear the wren making an alarming noise, then the sparrow soon leaves the area. The wren immediately goes back in to her house and the singing begins. Eventually the one sparrow that has been bugging the wren has left her alone. I have now even seen baby wrens in the two front maple trees, where the wren house it located. Looks like she is starting to have another brood, so all is well. Next year, I think I'm going to take down all of the bird houses and make the entrance holes small enough only for the wrens, chickadees, etc. I enjoy the smaller birds because of their beautiful voice, and color. What a beautiful time of the year. Response to "Wren being attacked by sparrow"
I'm hoping the person who posted in May is still checking this site. I had the same issue with house sparrows being aggressive towards a male wren that was building a nest in my birdhouse for a month. They actually wrecked his nicely woven twig nest and smashed it, and wanted to take it over. I finally realized the easiest way to keep the sparrows from being aggressive was to make it impossible for them to enter the birdhouse. The house door was set to bluebird size, which is something like 1 1/2", but I took a thick outdoor bumper sticker I had, folded it in half, and cut a circle out of the center. I then used scissors to cut away the paper backing only 1/2" from the each edge, leaving the paper on the center of the sticker, around the hole I 'd cut out. I then stuck the new 'door' to the bird house over the old birdhouse opening. I made the entrance only something like 1" wide. I offset the placement of the sticker a little below the original door so that wood from the entrance is still available to 'grab', since they hang there before entering sometimes. The male eventually found a female, and the babies are all happy and chirping away all day, each time they hear the parents' calling/singing. 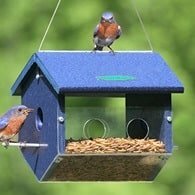 If you use my technique to create a new, smaller door to your birdhouse, just keep in mind that only chickadees, wrens, and maybe warblers can nest in there, but not sparrows, bluebirds, or others. The white sac that you see is the fledgings waste. The parents during the day will remove the sacs and fly away from the nest and drop them. She cleans the nest periodically. If you find a bird that you think a parent has abandoned - check to see if you have a Bird or Wildlife rehabilitator in your area. We actually have a EMS that I found through a Volunteer Fire Dept. 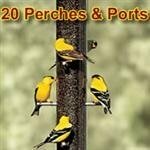 - that rehabilitates little birds, bunnies, turtles, etc. Some vets also take them. If you need to rehabilitate a baby bird, check out the You-tube videos - there are many videos to watch. Some birds eat berries, and others eat insects. Thanks. I have wrens that have been nesting in my yard also. Sometimes the mother wren will leave the nest for quite awhile. I think she goes and gets food for herself, then goes back to the nest. I read something that she sits on the nest for 45 min at a time, leaves for 15 min. to get food, then repeats that all day. Mine leaves the nest for a long time. Just watch her, to make sure the sparrows aren't going after her, because they are very territorial, and sometimes they try to keep her from going back in to her birdhouse. Because she leaves the nest for quite awhile, I also noticed that she had a baby bird in another tree, that she was watching out for. That is why she probably was leaving the nest unattended for awhile. You can tell if she sings all day to her babies in the trees, she is doing well. She sings first day in the real early morning, and around 5:30 pm. I bought some dried mealworms for them and hung it on a tree away from the wren house. Have fun. I have an Wren nest in my close pin bag. The parents were sitting on the 5 eggs. As of the last 5 days, no parent has showed up. What would make the parents leave the eggs? I have a nest with babies about 9 days old now. The nest was touched by a human hands and at least one of the babies was touched (night before last). I read here that abandonment after touched by humans is a myth. The parents were feeding the birds yesterday but I have not seen them at all today and am nervous. Perhaps they are being encouraged to leave the nest. Looked in earlier and saw a strange looking egg sac? it is white and has a soft shell or casing. Looked again and there is another one at the mouth of the nest. Any ideas as to what this could be? A spider egg? really weird! A little smaller than the wren eggs were and a little pointed at the end on each and again very soft looking almost like a larvae. Thanks for any replies. I have been reading a lot about wrens. I also noticed first hand that wren adults can get attacked by sparrows when they try to nest in wren houses. I don't know if it is territorial or what? I actually took a wren house down before they had any eggs because I knew the sparrows would kill the female. I am thinking about getting a predator guard for the entrance hole, and may be putting a hole on the back of the bird house with another predator guard on that also, just so that the female wren can get out of the house without being attacked. The sparrow sits on the branch outside the house and won't even let her in. I can't think of anything else to do. We have a couple of baby Carolina wrens whose nest was bothered by a neighbor's cat. The parents haven't been back to feed all day and we've started to feed them. How often should they be fed? It is absolutely a myth that touching eggs will cause abandonment. 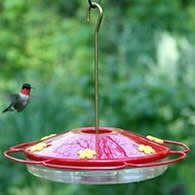 Songbirds have a very weak sense of smell and will not abandon nest, eggs, or young because they've been touched. However, the oil on our hands can cause harm to the eggs so touching no more than needed is best. My son moved a bird house with me knowing. He later found it on the ground and told me about it. This was after a big rain. The eggs were on the ground and one was busted. He begged to keep the others. I have always heard that once a human has touched bird eggs the mother won't take care of them because they'll have a smell she doesn't recognize. This could be a myth, I have no idea. Now we have these 2 eggs under a lamp. I am wondering if we have done the right thing. Can we still put them back? What should we do? I had 6 baby wrens in my garage so cute will they come back?? We have 5 baby wrens, about 4 days old. They make no noise yet and the mom has been great. I watch them constantly outside my bedroom window. Since she built the nest inside the cup on my table and laid one egg per day, she has been in that nest EVERY night for the past three weeks. Since the eggs hatched she has feed them every 20 minutes and never missed a beat. We had a bad storm tonight and the mommy wren hasn't been back in about 6 hours. It is now 9:40pm CST in Louisiana and now mommy wren. I need advice quick. I don't want the babies to die. I need to know what to do. disturbed at all. She is not there this a.m.
either. Would appreciate a possible answer. I, too, have found 3 baby house wrens in our birdhouse with one parent on the ground, dead. I have watched all day for the second parent to return, but it has not, and the babies have been frantically chirpping all day. A local rehab volunteer said to lift the birds from the nest, lay white paper towel down, and return them to the nest. Check later; if the birds have pooped, then they are being fed quietly, probably a response to the earlier attack which killed the other bird! If no bowel movements are found on the paper, soften dog or cat food, break into tiny pieces, tap the side of the baby beak, when mouth opens wide, feed the babies by hand. Two are eating well and pooping immediately, the third appears weak but it finally started eating some. She also said to look into the house with a flashlight at night; if there is no adult with the babies, bring them in for protection. We did this, gave them a night feeding and all three are sleeping soundly now. Tomorrow I will deliver them to the rehab home. Wow....what a day! Keep in mind that the adult birds will withhold food in order to get the young to leave the nest. This encourages the young to leave the nest to find their parents and food. Also, some fledglings are too heavy when fledging time comes. They must lose some weight before leaving the nest. As one other visitor said, it would be very rare that something happened to both adult birds. Which would be about the only way the nest of young would be abandoned. The parents will incubate the eggs for 10-14 days,then after hatching, take care of the young in the nest for another 10-14 days. Then the young and parents leave the nest, before the young can fly, and the parents feed the young for another two weeks or so. I have listened to the babies calling out to their parents all day yesterday and again this morning I am VERY worried about what might have happened to the pair of parents. They are in a bird house outside my kitchen window that has been used by these wrens for years! Had a similar issue today. Babies were crying for parents all morning and they were no where to be found. I was sure the babies would be dead by morning. After looking around, I found the adults building a new nest in another house I had set out the previous year. They HAD abandoned their first nest! I quickly took down house number 2 and watched as they circled in confusion looking for their new digs. After about 1/2 and hour mom found her way back to the screaming babies in the first nest. She went into the house and was there for a good minute or two. I was really curious to see what would happen. She emerged, and rose to the challenge. She collected insects non stop all day and fed the little guys until I could actually hear them getting louder (stronger). I won't put out another house until these guys have flown the coup for certain. One hypothesis I have is that these birds tend to make two sets of babies a summer at our place. They were late in getting started this year due to odd weather. I wonder if something was telling them that today is the day to make nest number 2 and maybe that led them to abandoning the first nest? Any thoughts? Carolina Wrens built an amazing nest on a shelf in my enclosed breezeway, left it about a week, and came back to fill it with eggs and dutifully hatch them. After several days of attentive feeding, they disappeared for 14 -16 hours yesterday, just before a set of harsh thunderstorms that lasted for hours with lots of rain and winds. I left the door to the breezeway open until 2 am, hoping they'd come back late, and reopened the door at 6:30 am, after just 4 hours closed, hoping they'd arrive early in morning. The pair just showed up at 8:30am, with lots of calling and shrieking as they took turns checking out the babies, who are now clearly dead. My thought is to put on a disposable glove and removed the dead babies and leave the nest. Will the wrens use the nest again another time? Look at the article "Raising Orphaned Baby Wrens"-on this website. Hope that helps. Good Luck. Hi, I was looking for an answer and saw the same thing. I have a nest that the parents have left and the baby wrens are still there. O is out and it fly's some, I'm thinking they decided it's time the kids be on their own and left. Don't know! Since you've seen neither parent, that is worrisome. It would take a lot for both to be killed at the same time. Do you have any clues as to how old the babies are? I just found out they are ready to leave the nest within 10-14 days after hatching. They grow fast! In Memphis, an organization called Wild Wings Rescue will help if birds are found injured or if a nest of babies is abandoned. You might try the local ASPCA or ask area veterinarians if they know.